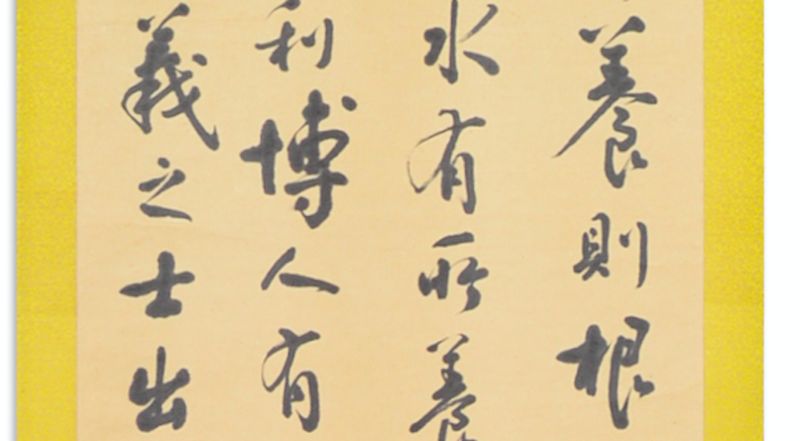 An Asian calligraphy scroll set to feature in the upcoming Asian Art and Collectables sale on ALLBIDS. Photos: Supplied. When someone mentions auctions for valuable art, antiques or collectables, the first things that likely come to mind are classical landscape oil paintings, pieces of traditional handcrafted furniture or 1950’s automobile memorabilia. However, there’s another category of valuable items taking the auction world by storm that you may not expect—Asian art and collectables. Over the last decade, auction houses around the globe have seen the level of interest in Asian (particularly Chinese) art and collectibles peak with items selling for unprecedented record prices, as affluent Chinese buyers who have amassed significant wealth on the back of the nations’ booming export trade enter the market in a bid to reclaim a piece of their nation’s heritage. Asian arts have now become so popular that a Chinese art market report produced by Daxue Consulting estimated that Chinese arts (including antiques, paintings etc.) accounted for 32 per cent of the value of all arts auctions worldwide in 2015. And it seems this trend has also extended to Australian markets. The exorbitant purchase prices being seen time-and-time-again at Australian auctions have effectively pushed many local buyers out of the market, with our reliable legal and banking system and trustworthy auction processes likely forming a large part of the attraction for many of the Chinese buyers. 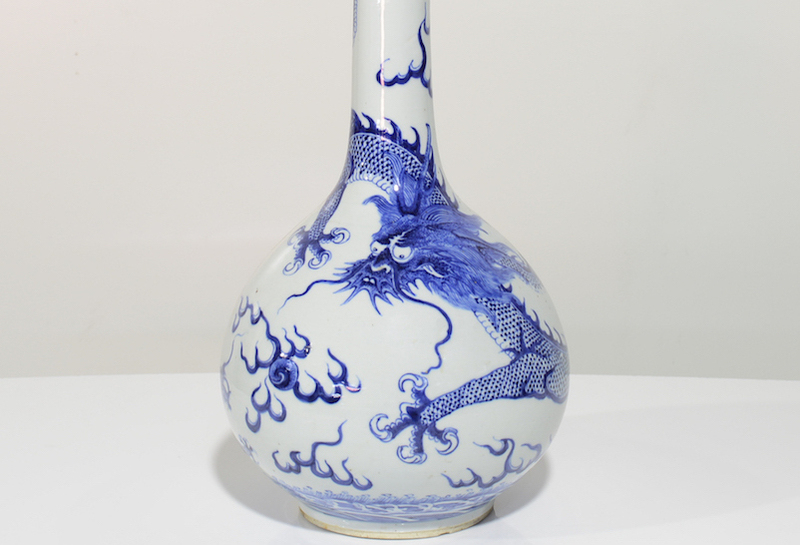 A range of Asian and Chinese collectables like this 19th century Chinese blue and white dragon vase are more in-demand than ever before. Rob Evans, CEO of Canberra-based auction website ALLBIDS, was quick to identify the trend and embrace this shift in the local auction market. “I knew this was a growing area, but to develop our capacity to host regular auctions in Asian art and collectables, we needed to bring in some in-house expertise,” Rob said. 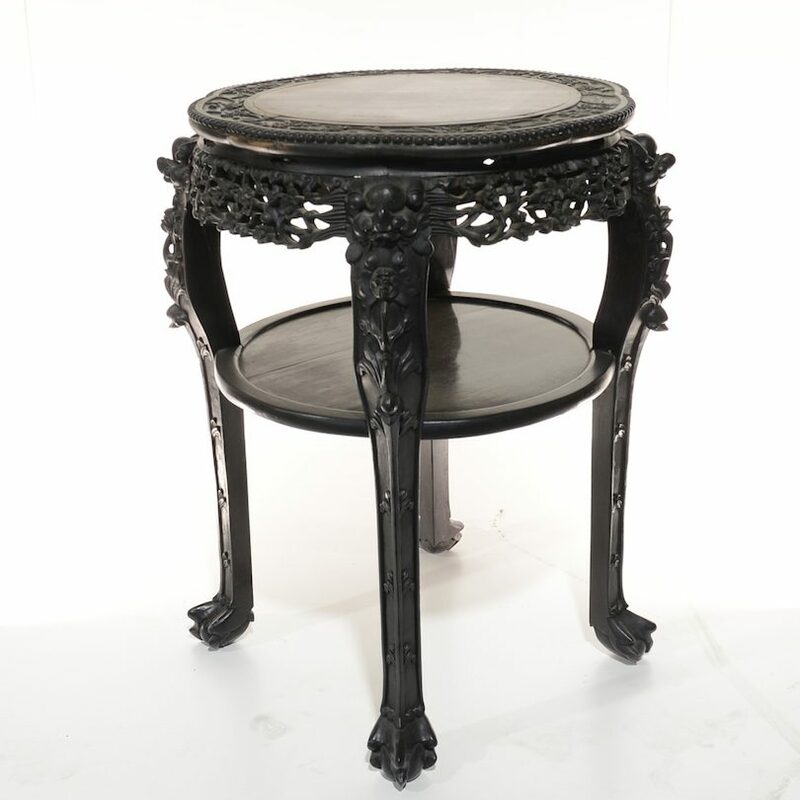 As a result, ALLBIDS now host regular Asian art, antique and collectable auctions, with fine Chinese porcelain, jade, scroll paintings and rosewood furniture proving to be among the most popular items. A Chinese export carved hongmu and marble inset wine table circa 1900 that’s likely to fetch a high price in the upcoming sale on ALLBIDS. Because of our proximity to Asia, the continuing affluence of the Chinese market and a growing interest in the arts among Chinese students (with creative arts now the fourth most popular field of study for Chinese students studying abroad in Australia), it’s likely this trend is going to continue well into the future, with more collectors set to emerge in this space. With art consistently proving to be a great long-term investment opportunity, auctions like the upcoming Asian art and collectables sale set to take place on ALLBIDS in August are certain to draw some significant interest from local and interstate buyers alike. With their specialist knowledge and expertise in the field, sellers wishing to auction their Asian art and collectable pieces as part of the upcoming ALLBIDS Asian art and collectables sale should submit their piece by 31 July 2018. Sellers can be assured their items will be correctly identified, described and placed at auction. Sellers are invited to contact Angus Bowers (angus.bowers@allbids.com.au) for more information about the sale. How much are your unwanted items really worth?